Experience and enjoy the world’s most romantic place, Taj Mahal. Indulge your weekend in the mesmerising experience of Agra with 2 days short trip to Agra from Delhi. Add an extra gorgeousness with the unmatched beauty of Taj Mahal and Fatehpur Sikri to relax your busy schedule of working days. We presenting a short trip to Delhi and Agra to cherish the memorable weekend with your beloved. Our representative will welcome you at the Delhi Airport and will drive to the pre-booked hotel in Agra. On the way, he will give an idea of the weekend trip to Agra in detail. Upon arrival at the hotel, check in and the staff will serve you the welcome drink. 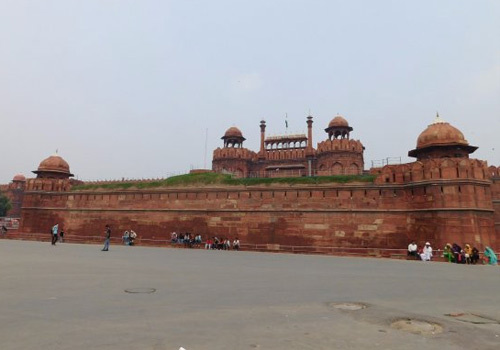 After the lunch, visit the Agra Red Fort and Marble factory. The evening will be free for your leisure activities and shopping in Agra. Overnight stay at Agra hotel in the peaceful environment, after the delicious dinner. Our Day 2 will be full of great moments. Wake up early in the morning for sunrise. Guests will be taken for the sunrise at one of the wonders, the gem “Taj Mahal”. Experience and enjoy the world’s most romantic place, Taj Mahal. Take romantic selfies, enjoy the peaceful environment and tranquil in riverside.